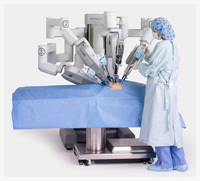 The da Vinci® Surgical System is a sophisticated robotic surgical platform designed to expand surgical capabilities – and for the first time – offer a minimally invasive option for older patients with a complex medical history requi ring major complex-cancer surgery. 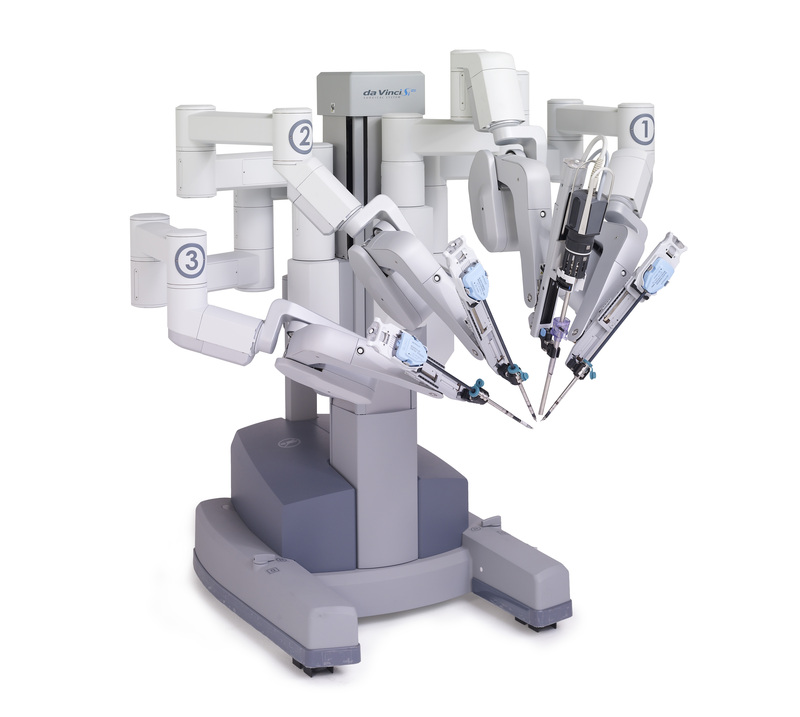 During a recent interview, Dr. Iddings stated “The interface between the patient and surgeon is evolving and the da Vinci® Surgical System is a catalyst…robotic surgery is simply revolutionary”. This is understandable as Dr. Iddings often uses the da Vinci® Surgical System to overcome the limitations of both traditional open surgery and conventional minimally invasive (laparoscopic) surgery. Through the use of the da Vinci® Surgical System, Dr. Iddings is now able to offer several minimally invasive options for the most complex surgical cancer conditions. Imagine major surgery performed through the smallest of incisions. Imagine having the benefits of a d efinitive complex surgical cancer treatment but with the potential for significantly less pain, less blood loss, a shorter hospital stay, faster return to normal daily activities – as well as the potential for better clinical outcomes. Seated comfortably at the da Vinci console, Dr. Iddings views a magnified, high-resolution 3D image of the surgical site. As Dr. Iddings manipulates the master controls, they work like forceps and the da Vinci responds to his input in real time, translating his hand, wrist and finger movements into precise micro-movements of the miniaturized instruments. Dr. Iddings and the da Vinci® Surgical System are making the seemingly impossible, possible. 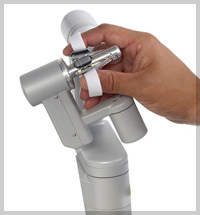 Visit Davincisurgery.com for more information regarding robotic surgery. Matt Dixon | The Flint Journal Surgical Oncologist Douglas Iddings poses for a portrait with the daVinci Si Robotic Surgical System at McLaren Regional Medical Center. 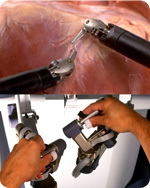 Iddings has used this system to perform robotic whipple procedures, a complicated cancer removal surgery that reconnects parts of the stomach. 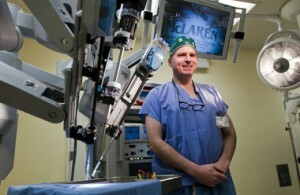 Dr. Douglas Iddings at McLaren Regional Medical Center uses a new robotic system to perform whipple procedures, a complicated cancer removal surgery that reconnects parts of the stomach. Press play to watch the WNEM Channel 5 video. Click on the CNN logo to listen to the interview.